Children love Memorial Day weekend for its barbecues, lawn activities and beach trips, but it might be time to teach your kids that the occasion is more than just a three-day weekend of family fun. Memorial Day can seem like all fun and games (who doesn’t love a day off school and work? 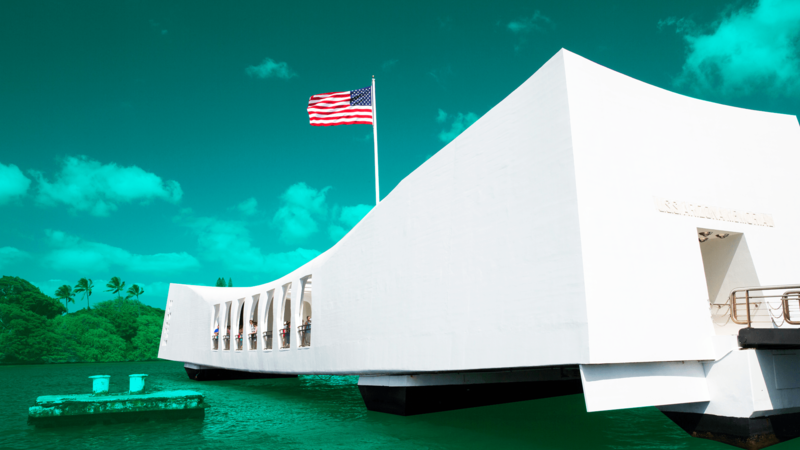 ), but it’s actually the most solemn holiday on the U.S. calendar: For over 150 years, Memorial Day has been dedicated to paying respect to all the men and women who died during their service to the U.S. military. Memorial Day actually began as Decoration Day back in 1868, when the graves of Civil War soldiers were decorated with flags and flowers. It was renamed Memorial Day in 1967, and in 1968, the last Monday in May was officially declared a U.S. holiday, turning the day into a celebratory three-day weekend before summer begins. 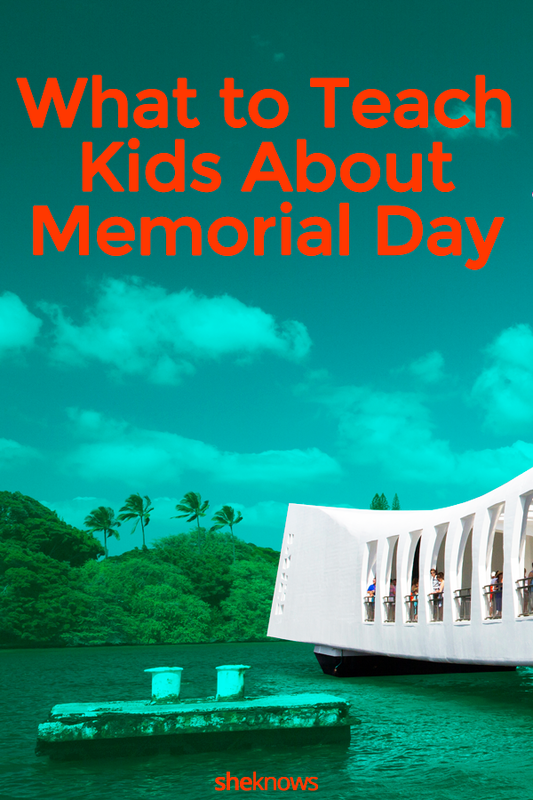 If you have a friend or relative who died during military service, that’s the perfect place to start teaching your kids what Memorial Day weekend is really about. Put the barbecue on hold, visit their grave, and talk about their place in the family, where they fought and how they died. If you don’t have a deceased friend or relative who was in the military, you can still help decorate the graves of soldiers at your local cemetery with flags and wreaths. Most U.S. cities host commemorative exhibitions, events and concerts at museums and concert venues. Why not check your local listings for details and try to slot a couple of special events into your weekend? If your town doesn’t host a Memorial Day parade, you won’t have to travel far to find one that does. And sure, on the surface, it’s about costumes, music and fun, but by explaining to your kids what the parade represents, you can combine activity with appreciation. But a meaningful Memorial Day doesn’t have to involve battling the crowds. You can engage your kids at home with fun activities and use this opportunity to chat about Memorial Day and what it stands for. Make ice pop flags or decorate a cake in red, white and blue (strawberries, whipped cream and blueberries if you don’t want to go too frosting-happy). Many families find it difficult to associate Memorial Day with fun activities. They may have relatives marching in parades who could soon be deployed in war zones in Iraq, Syria, Afghanistan or other dangerous places that don’t often make the headlines, like Niger and Somalia. Plus, President Trump recently approved a $700 billion defense budget for 2019 — what his administration has called the largest military budget in U.S. history. Whether you agree with that decision or not, you can use the current political climate as a jumping-off point for conversation and debate with your kids if you think they’re mature enough. But remember: Memorial Day isn’t about what’s going on right now or what might happen in the future. It’s about the 1.1 million American men and women who have been killed in all U.S. wars. However you spend the holiday (and there’s nothing wrong with enjoying three days to relax at home with your family, because those moments are precious), take some time to think about those who sacrificed their lives.